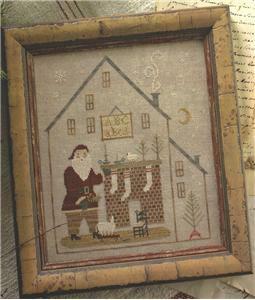 Punch Needle design.A Printed Weaver clothes is included. 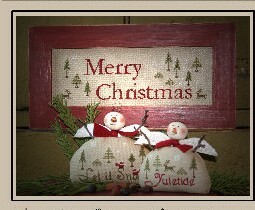 Punch Needle Design. 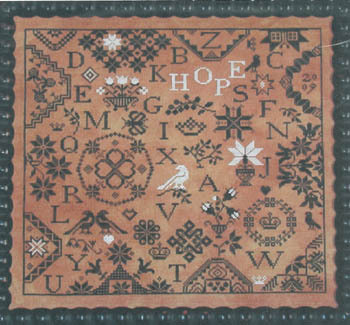 A Printed Weaver Cloth is included. Design only. 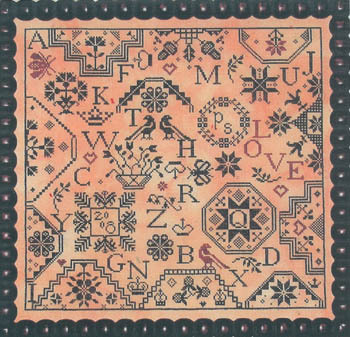 A weaver cloth is included. 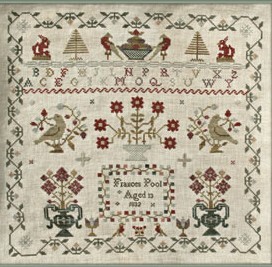 With Thy N & T Mystery Sampler WDW Fabric 35 ct 18" x 18"
18" x 18" Weeks Dye Works Confederate grey 35ct linen. No chart is included. 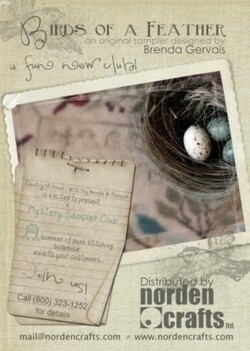 Thread Pack for the 3 parts of the mystery sampler. 19 weeks dye works overdyed cotton threads. Weeks dye Works are Light Khaki, Straw, Dove, Confederate Grey, Guacamole, Cappuccino, Sage(2), Caper, Bark, Brick, Kentucky Bluegrass, Kudzu(4), Olive, Cinnabar, and Indian Summer. Thread Pack only, no chart is included. 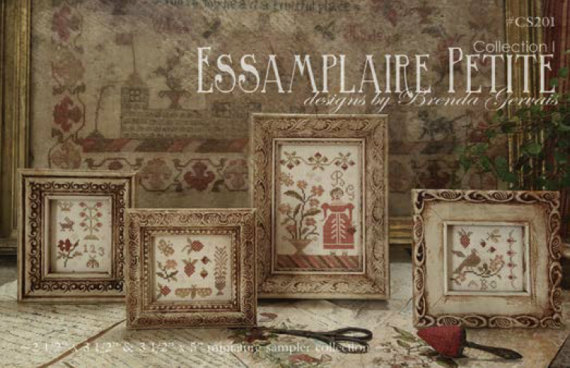 Gentle Art Sampler Threads, Copper, Nutmeg, Woodrose(10 yard), Pomegrante(15 yard), Aged Pewter(10 yard), Parchment(10 yard), Apple Cider, Lambswool, Wood Trail, Toffee, Heirloom Gold(10 yard), and Endive(10 yard). 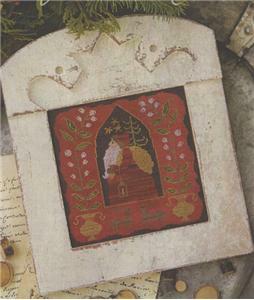 A weaver cloth is included. 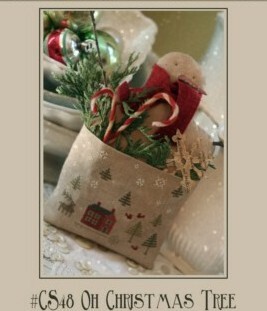 Recommended linen is 30 ct R & R Iced Cappuccino. 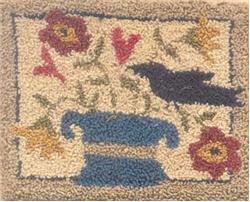 Stitch count for the design is 190 wide x 197 high. Thread Pack only, no chart is included. 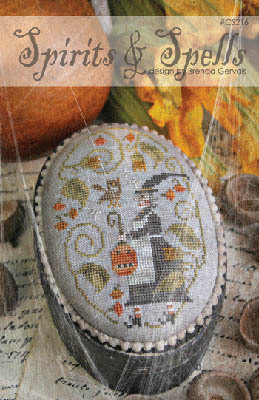 30 skeins of Gentle Art sampler threads are included. 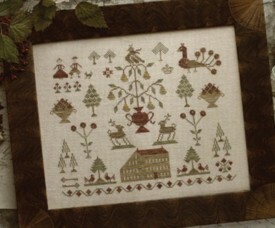 Pattern loaded with patterns for 4 sweet sewing companions. 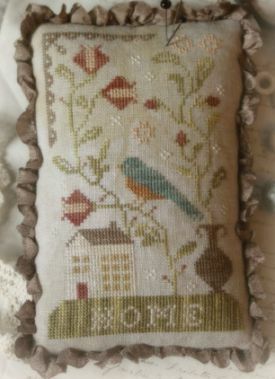 The recommended fabric is Newcastle 40 ct Day Gone By. Part 3 of the mystery chart, chart only. You have to buy part 1 and part 2 to complete the whole chart. Part 3 only contains part of the design. 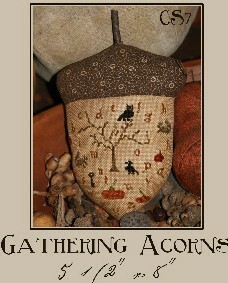 Weavers cloth & pre-printed design included. 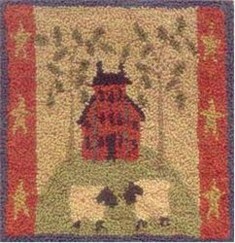 10in x 11-3/4in penny rug. 4-1/2 sq. 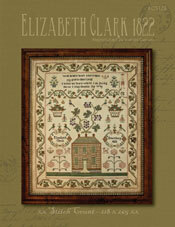 Includes design pre-printed on weaver's cloth. 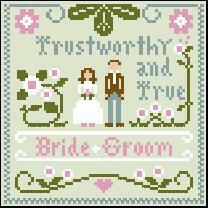 10in x 7 3/4in Includes design printed on fabric. Design is worked in Valdani 3 strand flosses. 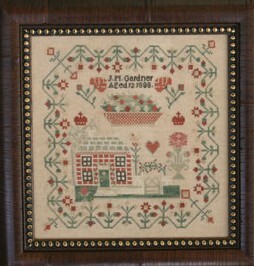 Pattern includes a piece of pre-stamped weavers cloth. 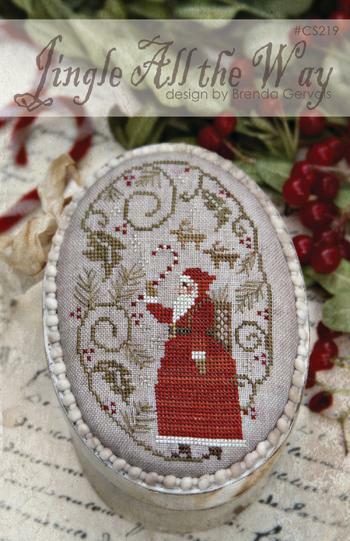 Pattern is worked using the 6 strand method with the beautiful Valdani hand over-dyed floss. 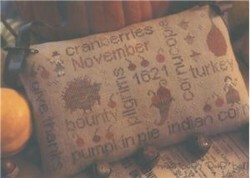 Pattern includes a piece of weavers cloth with the design pre-printed on the cloth. 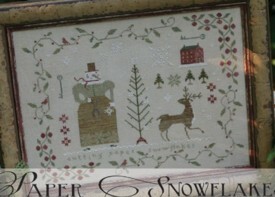 Piece measures 8 1/4" x 6 1/2"...a nice size for a candle mat! 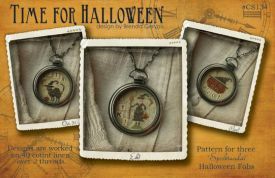 Fun pattern for 3 stitching companions. 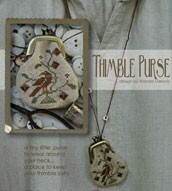 Pattern features a petite little sewing purse with mother of pearl closure. 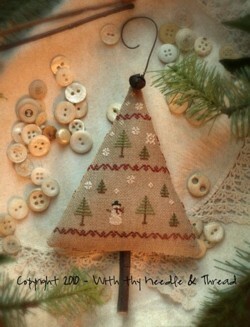 Second project is a sweet little needle book for keeping those needles safe & secure. 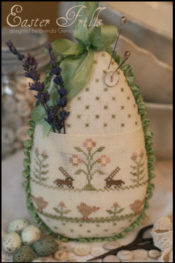 The needle book has a floral motif with old buttons used for the flowers and is just the perfect size to pop into the little sewing purse...and there's room for a pair of your favorite stitching scissors and thimble too! 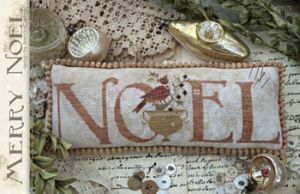 Lastly is a pinkeep featuring a stitcher's verse, antique sewing bird clamp and various motifs...all stitched in lovely muted & faded shades of hand dyed flosses. 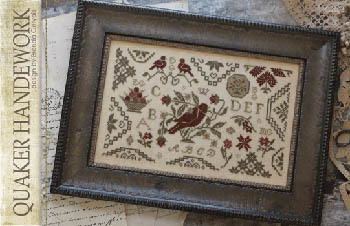 All projects are worked on 40 count Confederate Grey linen by Weeks Dye Works. 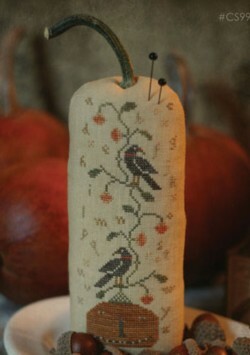 One strand of floss over 2 threads is used throughout. 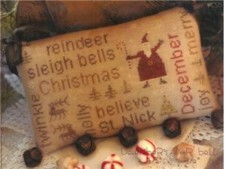 Recommended fabric is R & R Ice Cappuccino 36" x 27". 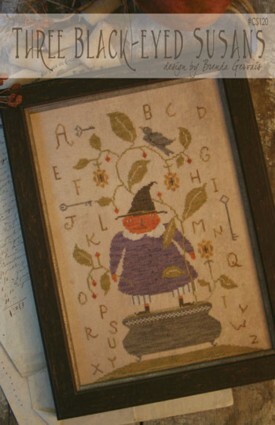 Recommended fabric is WDW 35 Straw Linen. 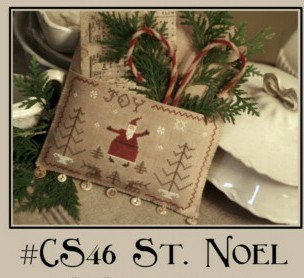 Recommended fabric is R & R 30 ct Cappuccino. 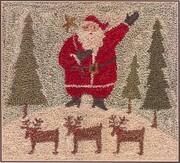 Stitch count for the design is 190 wide x 197 high. No chart is included. Thread Pack only. 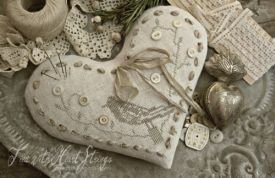 Gentle art threads. No chart is included. Thread Pack only. 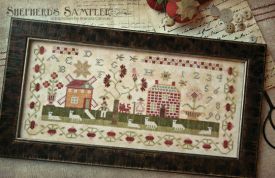 Gentle art sampler threads. No chart is inclued. Thread Pack only. 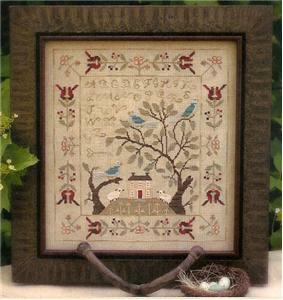 13 Gentle art sampler threads. Thread pack only. No chart is included. 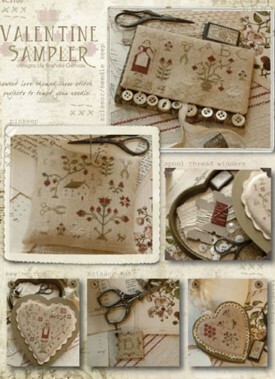 11 Gentle art sampler threads. 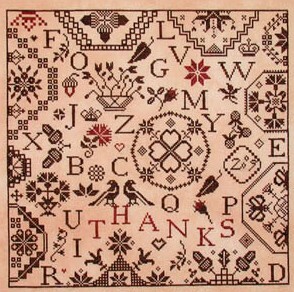 A weaver cloth is included. The charts calls for DMC threads. 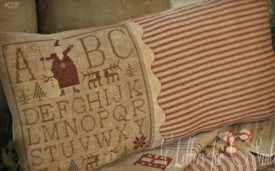 Recommended fabric is 35 ct R & R Abecedarian Blend fabric. Thread Pack only, no chart is included. 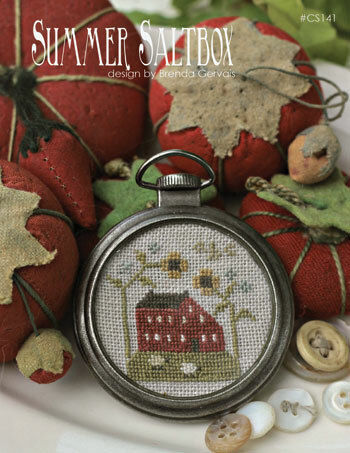 13 Gentle art sampler threads are Dried Thyme, Gold Leaf, Brandy, Shutter Green, Parchment, Walnut, Gingersnap, School Yard, Roasted Marshallow, Pumpkin Pie, Wood Trail, Heirloom Gold, Wheat Fields. Thread Pack only, no chart is included. 6 Weeks Dye Works threads are Parchment, Taupe, Palomino, Cappuccino, Brick, and Kudzu. Thread pack only, no chart is included. 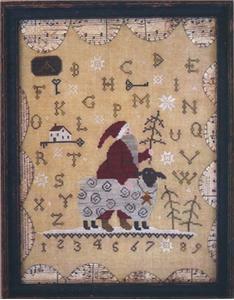 18 Gentle Art Sampler Threads are Grasshopper, Old Brick, Nutmeg, Peacock, Wheatfield, Picket Fence, Pomegranite, Grape Arbor, Walnut, Aged Pewter, Gingersnap, Apple Cider, Lambswool, Portabella, Heirloom Gold, Endive, Moonlight Path and Carriage Black. 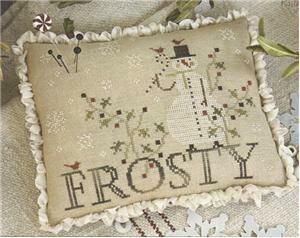 Recommended fabric is 30 ct Ice Cappuccino. 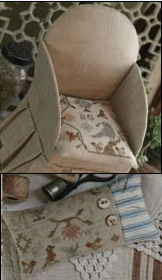 2 patterns are included, one for the chair (step by step instruction also included) and a petite pincushion. Thread pack only, no chart is included. 16 Weeks dye Works are Whitewash, Straw, Peach Fuzz, Dove, Confederate Gray, Palomino, Cadet, Charcoal, Red Pearl, Raspberry, Scuppernong (15 yard), Kudzu, Sweet Potato, and Plum. Thread pack only. No chart is included. 8 Gentle Art Sampler threads are Aged Pewter, Apple Cider, Carmel Corn,10 Toasted Barley, Heirloom Gold, Brandy, Nutmeg and Wood Smoke. 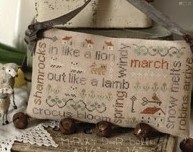 Design is stitched on R and R 35 ct Park City Blend Linen. Anita's recommendation on alternative linen are Weeks dye Works 35ct Cappuccino, Cocoa, Straw or 36 ct Edinburgh Light Mocha/Light Sand. Thread Pack only, no chart is included. 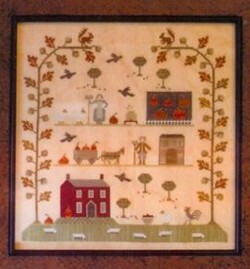 Weeks dye Works and Gentle Art sampler thread pack.Weeks Dye Work Fawn; Gentle Art Mulberry (10 yard), Cornhusk, Apricot Blush, Harvest Basket, Wood Rose, 10Toasted Barley, Apple Cider, Wood Trail (10 yard), Toffee, Heirloom Gold and Endive. 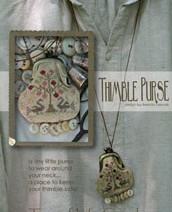 A small antique thimble purse and finishing instruction will be included. 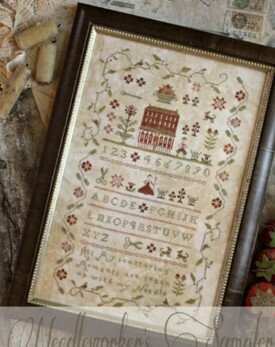 Recommend fabric is 40 ct Weeks Dye Works Parchment. 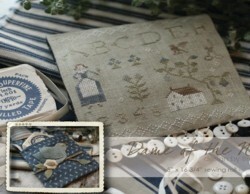 Anita's recommendation on alternative linen is Bellazia (Graziano Italian)38 ct Linen or 40 ct WDW Straw. 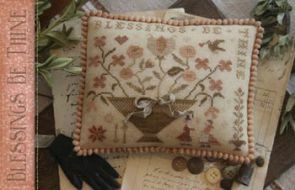 You can also stitch as a regular coin purse using 32 ct linen or using a bigger piece of linen for finishing. 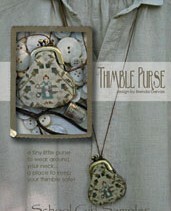 A small antique thimble purse and finishing instruction will be included. 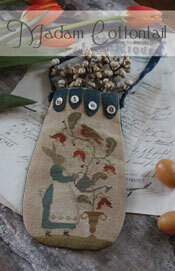 Recommend fabric is 40 ct Weeks Dye Works Parchment. 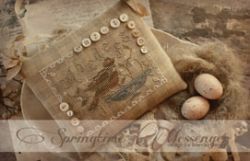 Anita's recommendation on alternative linen is Bellazia (Graziano Italian)38 ct Linen or Weeks dye Works 40 ct Straw.You can also stitch as a regular coin purse using 32 ct linen or using a bigger piece of linen for finishing. 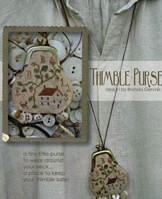 A small antique thimble purse and finishing instruction will be included. 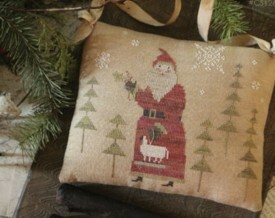 Recommend fabric is 40 ct Weeks Dye Works Parchment. Anita's recommendation on alternative linen is Bellazia (Graziano Italian)38 ct cream linen or Weeks dye works 40 ct Straw linen. 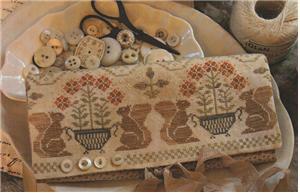 You can also stitch as a regular coin purse using 32 ct linen or using a bigger piece of linen for finishing. 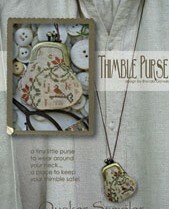 A small antique thimble purse and finishing instruction will be included. 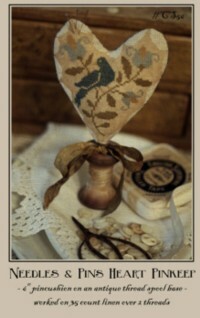 Recommend fabric is 40 ct Weeks Dye Works Parchment. 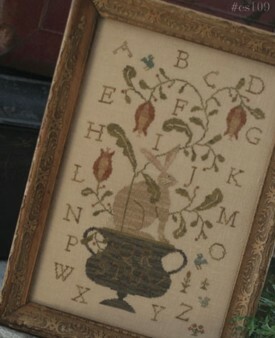 Anita's recommendation on alternative linen is Bellazia (Graziano Italian)38 ct Linen or Weeks dye works 40 ct Straw. 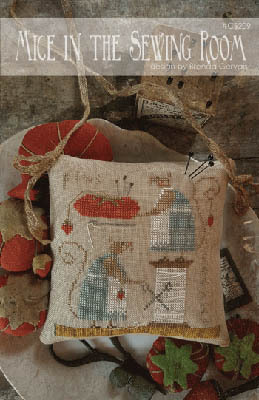 You can also stitch as a regular coin purse using 32 ct linen or using a bigger piece of linen for finishing. Thread pack only, no chart is included. 13 overdyed floss. Gentle art threads are Apricot Blush, Fragrant Cloves, Ginger Snap, Apple Cider, Old Hickory, Caramel Corn, Wood Trail, Toffee, Heirloom Gold, Endive; Weeks Dye Works are Pelican Gray, Charcoal and Cognac. Thread pack only. 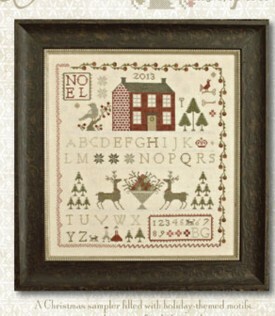 14 Gentle Art Sampler Threads are Mulberry, Maple Syrup, Nutmeg, Apricot Blush, Heirloom Gold, Buttermilk, Shaker White, Walnut, Aged Pewter, Freedom, Apple Cider, Dungarees, Wood Trail, and Endive. Thread pack only, no chart is included. 9 overdyed cotton threads. 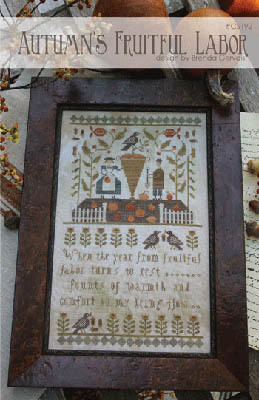 8 Gentle Art Sampler threads are Picket Fence, Fragrant Cloves, Pumpkin Pie, Wood Trail, Toffee, Endive and Wheat Fields; Weeks Dye work is Terra Cotta. Thread pack only, no chart is included. 10 overdyed cotton floss. 7 Gentle Art Threads are Fragrant Cloves, Parchment, Pumpkin Pie, Wood Trail, Toffee and Endive; Weeks dye Works are Pelican Gray, Peach, Sweet Potatoes and Caper. 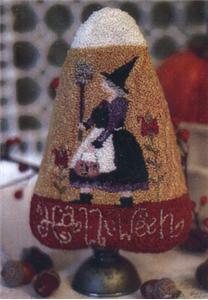 DMC and overdyed cotton floss are used. Thread Pack only. No chart is included. Weeks Dye Works threads are Light Khaki, Beige, Straw, Articoke, Oak, Bark, Blue Spruce and Gentle Art Sampler Thread Green Apple. Thread pack only, no chart is included. 2 Weeks dye Works are Parchment and Collards; Gentle Art threads are Dried Thyme, Mulberry, Apricot Blush, Pomegranite, Apple Cider, Old Hickory, Roasted Marshallow, Wood Trail, Heirloom Gold, Wheatfield, and Gingersnap. Thread pack only, no chart is included. Gentle Art threads are Harvest Basket, Wood Rose, Shaker White, Gingersnap, Lexington Green, Apple Cider, Lambswool, Carmel Corn; Weeks Dye Works are Beige, Sage, Caper, Bark, Collards, Dolphins(2), Kuzu, and Pelican Grey. 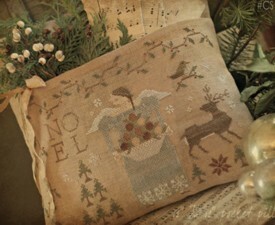 Recommended fabric is R & R Cafe Kona 30ct. Anita's recommendation for alternative fabric is Weeks dye Works 30 ct Cocoa. Thread pack only, no chart is included. Weeks dye Works are Putty, Schneckly, Pecan, and Kuzu; Gentle Art sampler threads are Maple Syrup, Cinamon, Brandy, Apricot Blush, Heirloom Gold,10 Toasted Barley, Wood Trail, Cidermill Brown, Picket Fence, Wood Rose, Shaker White, Parchment, and Lexington Green(10 yard). 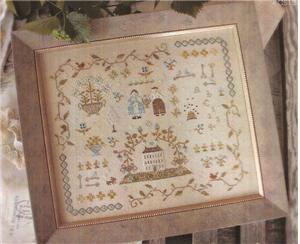 Recommended fabric is Weeks dye Works 30 ct Parchment 36" x 27". Thread Pack only, no chart is included. 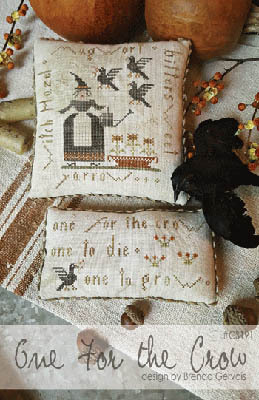 Weeks dye Works confederate gray (10 yards), 1246 sage, 1288 river rock, 2199 tarragon (15 yards), 2240 red rocks (10 yards ); Gentle Arts Sampler threads are Tarnished Gold, Harvest Basket , Old Red Paint , Wood Rose, Wood Trail, Heirloom Gold (10 yards), and Otter Creek. Designs are stitched with 40ct R & R Expresso. 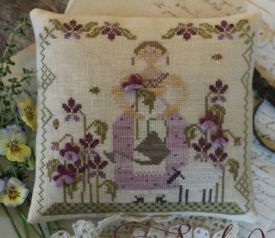 Anita's recommendation of alternative fabric is 40 ct Newcastle hand dyed Antique Ivory or Newcastle hand dyed Sandcastle. Thread pack only. No chart is included. 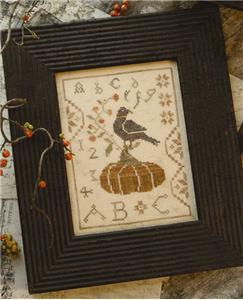 Weeks dye works are Parchment, Putty, Red Rocks; Gentle Art Samplers threads are Grasshopper, Apricot Blush, Apple Cider and Endive. 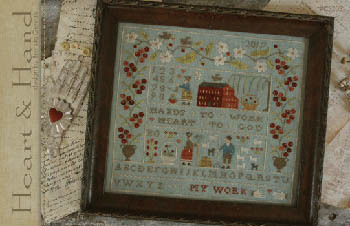 Weeks dye Works 40 ct Parchment, stitch count is 179 x 151. Thread pack only, no chart is included. Weeks dye Works and Gentle Art Sampler Threads only.Weeks dye Works are Parchment, Conch, Taupe, Putty, Oak, Pecan, Palomino, Pelican Gray; Gentle Arts are Nutmeg, Flax, Lexington Green, Caramel Corn, 10Toasted Barley, Wood Trail, Heirloom Gold and Endive. Weeks dye Works 40 ct Parchment linen, stitch count is 148 x 134. 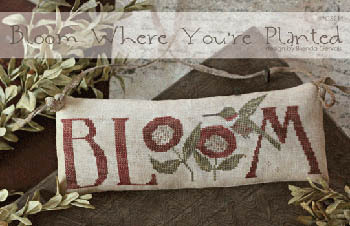 Thread pack only, no chart is included.Weeks dye Works threads are Conch, Dolphin, Palomino, Pecan, Pelican Grey, Putty, Taupe; Gentle Art Sampler Threads are Apple Cider, Caramel Corn, Endive, Lexington Green, Shaker White and Wood Trail. 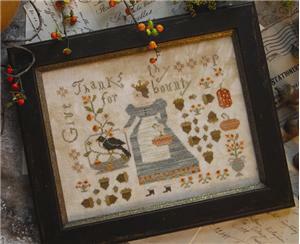 Weeks dye Works 40 ct Parchment, stitch count is 132 x 200. 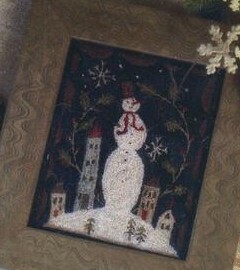 Recommended linen is 35ct WDW Straw linen. 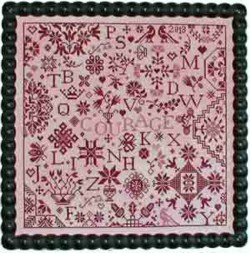 Stitch size is 89W x 92H. Thread pack only. No chart is included. 8 Overdyed cotton threads. 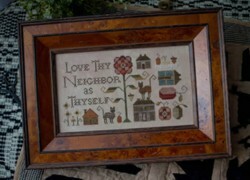 4 Weeks dye Works are Putty, Pecan, Sage, Pelican Gray; 4 Gentle Art are Cinnamon, Picket Fence, Wood Trail and Endive. 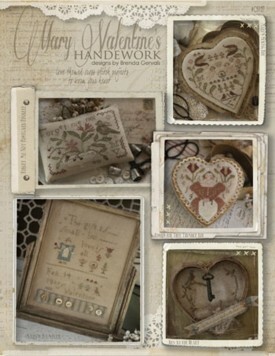 35ct WDW Putty linen is recommended. 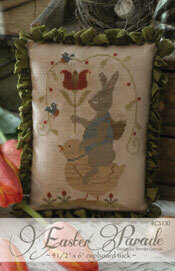 Stitch count is 86W x 88H. The finish size of the sewing roll is 5" x 16 3/4". Thread pack only, no chart is included. 7 overdyed cotton threads are Weeks Dye Works Light Khaki, Peach, Sage, Dolphin; Gentle Art are Apple Cider, Dungarees, and Endive. Recommended fabric is WDW 40ct Confederate Gray.40 ct Newcastle hand dyed Heritage is a good substitute. Thread pack only. No chart is included. 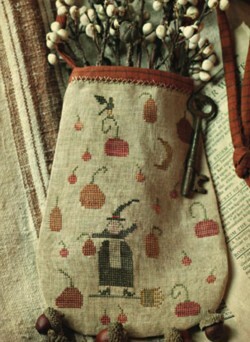 14 Overdyed cotton threads are included. 3 Weeks dye Works are Putty, Dolphin, Pelican Gray; 11 Gentle Art are Country Redwood, Wood Smoke, Pomegranate, Freedom, Old Hickory, Roasted Marshmallow, Caramel Corn,10 Toasted Barley, Wood Trail, Toffee, and Endive. 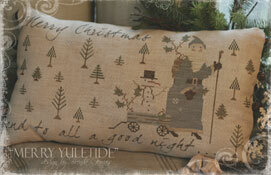 Recommended fabric is R&R 35ct Olde Town Blend. 64W x 64H. Thread pack only, no chart is included. 9 Overdyed cotton floss are Weeks Dye Works Peach, Schneckley, Rust, Baked Apple, Red Pear; Gentle Art are Apple Cider,10 Toasted Barley, Endive, and Otter Creek. 188w x 135h. 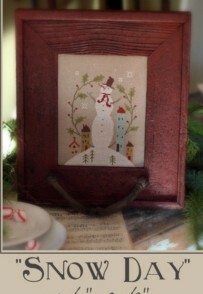 Recommended linen is 35ct R&R Old Mill Java. 192w x 196h. Recommended linen is 30ct Iced Cappuccino.To give you 3 inches all around for extra fabric, you will need to consider getting 35ct Iced Cappunccio instead 18" x 27". Thread pack only, no chart is included. Weeks Dye Works are Schneckly, Pamlico, Caper, Cadet, Sea Gull, Pelican Gray, Kuzu; Gentle Art are Parchment, Freedom, Lexington Green, Apple Cider, Mountain Mist, Wood Trail, Outter Creek, Endive(20 yard), Mulberry(10 yard), Cornhusk(15 yard), Grecian Gold, Brandy, Apricot Blush, Harvest Basket, Pomegranate, Heirloom Gold and Endive. 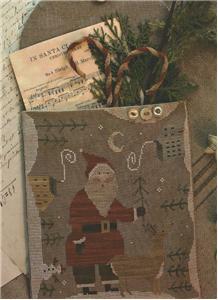 Recommended fabric is R&R 35ct Olde Town Blend, stitch count is 176W x 150H. 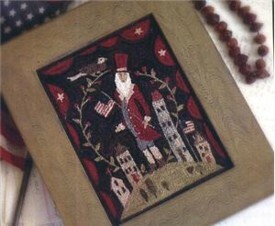 Recommended fabric is R&R 35ct Olde Town Blend. DMC threads only. 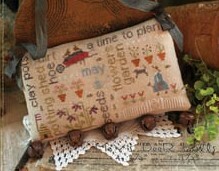 Recommended linen is WDW 40ct Parchment, stitch count is 218W x 226H. Thread Pack only, no chart is included. Weeks dye Works are Peach, Putty, Sage, Pelican Gray, Olive; Gentle Art are Otter Creek, Endive, Heirloom Gold, Wood Trail, Mountain Mist, Old Hickory; 6 strand Valdani threads 813, 862, 863, O510. (Designer is using Valdani 3 strand balls, but I feel 3 strand threads are too thick to stitch on 35ct linen, so I use 6 strand on the thread pack. If you want 3 strand thread, you can buy them on my Valdani thread page). Thread pack only, no chart is included. Weeks dye Works threads are Parchment, Putty, Pecan, Sage, Bark, Pelican Grey; Gentle Art are Woodrose, Apple Cider, Caramel Corn, Wood Trail, Heirloom Gold, Endive, Piney Wood; Valdani 6 strand floss 811, 812, O510. ((Designer is using Valdani 3 strand balls, but I feel 3 strand threads are too thick to stitch on 35ct linen, so I use 6 strand on the thread pack. If you want 3 strand thread, you can buy them on my Valdani thread page). 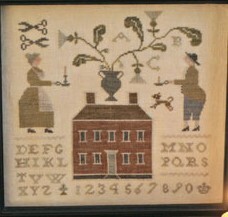 Stitched on 36ct linen, stitch count is 144 x 76. Thread pack only, no chart is included. Gentle Art threads are Sarsaparilla, Old Hickory, Wood Rose, Walnut, Shaker White, Heirloom Gold, Brethren Blue, Forest Glade, Portabella, Wheat Fields, Mulberry, and Pecan Pie. 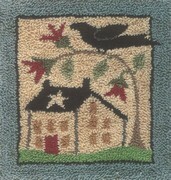 Stitch count 157w x 130h, 35ct R&R Olde Town Blend. 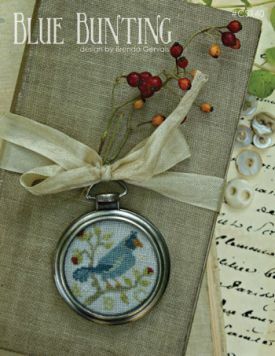 Thread pack only, no chart is included.Gentle Art and Weeks Dye Works threads. 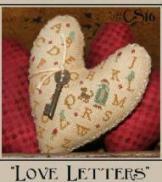 <h3>Stitch count is 121W x 96H, 35ct Weeks Dye Works Straw. 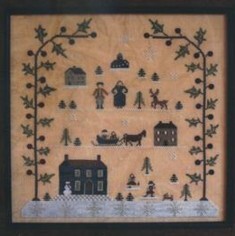 Stitch count 163w x 176h, 30ct R&R Olde Town Blend. Thread pack only, no chart is included. Weeks Dye Works and Gentle Art threads. Chart only. 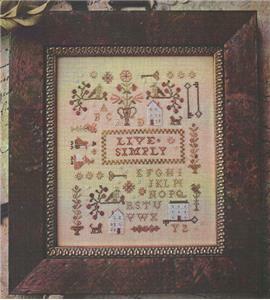 Stitch count 146w x 242h, 40ct Picture plus linen. 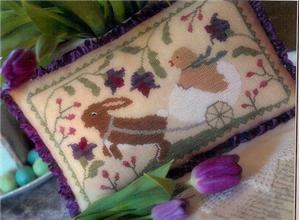 Anita's recommended alternative linen is 40ct Newcastle hand dyed Heritage. Thread pack only, no chart is included. Weeks dye works are Light Khaki, Peach, Schneckley, Pelican Grey; Gentle Art are Harvest Basket, Cidermill Brown, Woodrose, Lexington Green, Wood Trail, Endive, Carriage Black, Flax and Valdani 6 strand O534 Quiet Fall. 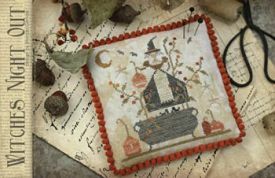 Thread pack only, no chart is included.Weeks dye Works and Valdani threads are used. Weeks Dye Works are Parchment, Straw, Peach, Putty, Pecan, Palomino, Sage, Oscar, Olive, Red Rocks and Valdani 6 strand 813 Brick Dark, 861 Faded Rust Light, 862 Faded Rust Medium. (Thread pack is 6 strand valdani, not 3 strand Valdani). 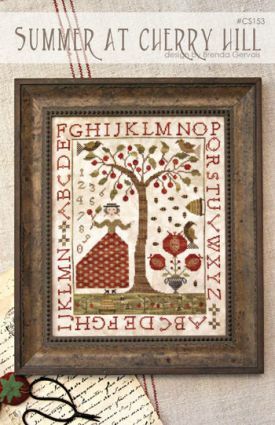 Designer's choice of fabric is R&R 35ct Olde Town Blend.Anita's recommendation on Alternative fabric is 36ct Edinburgh Light Mocha. Thread pack only, no chart is included. Weeks dye works are Peach, Sage(10yard), Pelican Gray; Valdani 6 strands 861, 862; and Gentle Art Harvest Basket, Old Red Paint, Buttermilk, Lambswool, endive, Mountain Mist. Thread pack only, no chart is included. Gentle Art Threads are Brandy, Endive, Lexington Green, Mountain Mist; Weeks dye Works are Light Khaki, Palomino, Pecan, Putty, Sage. Thread pack only, no chart is included. Gentle Art are Brandy, Cornhusk, Endive, Heirloom Gold, Mountain Mist, Pumpkin Pie,10 Toasted Barley, Wood Trail; Weeks dye Works are Cappuccino, Grape Fruit, Kentucky Bluegrass, Light Khaki, Putty and Schneckley. Thread Pack only, no chart is included. Gentle Art are Apple Cider, Cornhusk, Brandy, Cinnamon; Weeks dye Works Capuccino, Kentucky Bluegrass, Light Khaki, Pelican Gray, Putty, Scheckley; Valdani 6 strand 510. 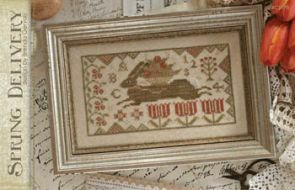 A weaver cloth is included.Gentle Art thread are Gold Leaf, Brandy, Summer Shower, Endive, Woodrose, Picket Fence, Sea Spray; Valdani 3 strand Floss Aged Black(3), O154, JP8, 851, 0510. 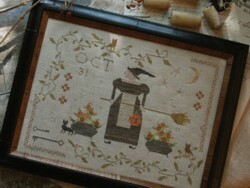 Stitch count is 151 x 123 stitched on 40ct linen. 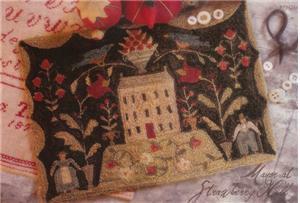 Stitch count is 102 x 95 stitched on 40ct linen. Thread Pack only, no chart is included. Weeks dye Works are Schneckley, Caper, Pelican Grey; Gentle Art are Cornhusk, Parchment, Toffee, Endive; Crescent Colours/Classic Colorworks are Blue Corn, Barn Door, Dublin Bay, Eggshell, Muddy Puddle, Old Money & Crab Cakes. 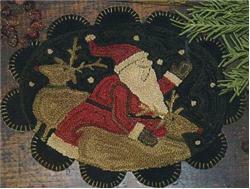 2 small wool felts are included. Thread pack only, no chart is included. 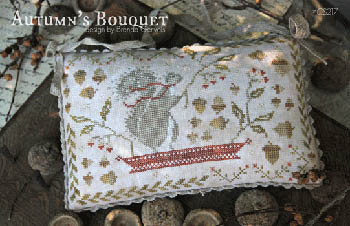 Gentle Art are Cornhusk, Buttercrunch, Lavender Potpourri, Jasmine, Oatmeal, Briar Rose, Endive; Crescent Colours/Classic Colorworks - Honeycomb, Old Marigold, Perfect Piscrust, River Rocks, Straw Hat, Stepping Stones, Tufted Yellow and Tiny Vine. Chart only. 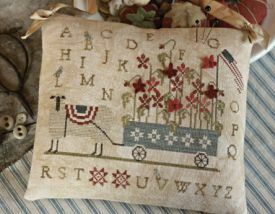 Designs are stitched on 40ct Weeks dye Works Confederate Gray Line. 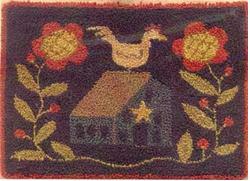 Recommended threads are Gentle Art Tarnished Gold, Cornhusk, Picket ence, Genger Snap, Lambswool, Pumpkin Pie, Caramel Corn,10 Toasted Barley, Wood Trail, Endive, Wheat Fields and Carriage Black. Chart only. Design Side is 197w x 150h. Fabric used Weeks Dye Works 30ct linen Cornsilk. Thread Pack only, no chart is included. Weeks dye Works are Peach, Dove, Putty, Sage, Caper, Pelican Gray, Red Pear, Olive(15 yards), Cinnabar; Gentle Arts Cornhusk(10 yards), Cidermill Brown, Pumpkin Pie; Classic/Crescent Colours are Avocado(10 yards), Eggshell, Ginger Snap, Honeycomb, Old Money, Perfect Piecrust, Straw Hat, Tennessee red Clay & Ye Old Gold. Design side is 207w x 174h. 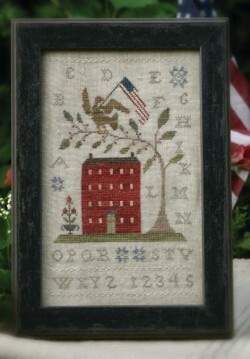 Fabric used is R&R Liberty Gathering Linen. 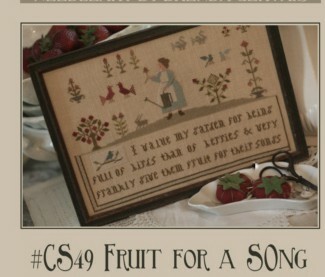 Anita's recommendation alternative linen is Weeks dye Works 35ct Confederate Gray. Thread pack only, no chart is included. Weeks Dye Works threads are Sea Foam, Putty, Sage, Caper, Cypress, Olive, Gold; Gentle Arts are Sea Spray, Summer Meadow, Cornhusk, Nutmeg, Apple Cider, Mustard Seed, Heirloom Gold; Classic Colorworks/Crescent Colours are Avocado(10 yards), Eggshell, Perfect Piecrust, and Ye Old Gold. 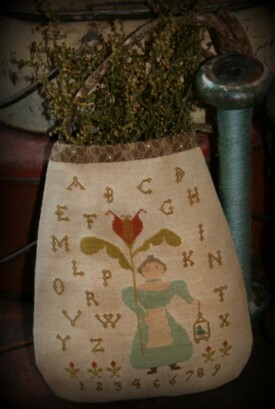 Fabric used is R & R 35ct Old Towne Blend. 217w x 240. Thread Pack only, no chart is included. Week Dye Works are Conch, Bright Leaf, Caper, Bullfrog, Bluecoat Red; Gentle Arts are Maple Syrup, Brandy, Old Red Paint, Pomegranate, Apple Cider, Raspberry Frost, Endive(10 yards); Class Colorworks/Crescent Colours is Deep Fennel. Thread pack only, no chart is included.Weeks dye Works are Peach, Palomino, Sage, Pelican Gray; Gentle Art are Brandy, Nutmeg, Pumpkin Pie,10 Toasted Barley, Wood Trail, Heirloom Gold, Endive; Classic Colorworks/Crescent Colours are Honeycomb, Pumpkin Harvest and Eggshell. Thread pack only, no chart is included.Weeks dye Works are Peach, Palomino, Sage, Caper, Pelican Gray; Gentle Arts are Walnut, Wood Trail, and Endive; Classic Colorworks/Crescent Colours are Pumpkin Harvest, Avocado, Eggshell Ginger Snap, Honeycomb, Ye Old Gold & Colonial Copper. Chart only, no accessory is included. 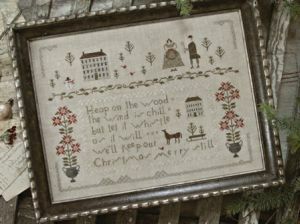 146W x 126H stitched on 40ct linen. 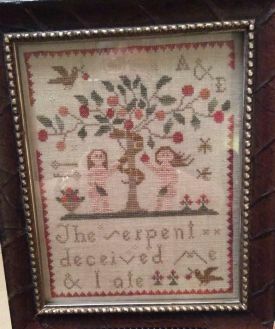 160W x 67H, stitched on 40ct linen. 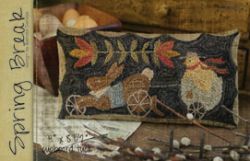 Thread pack only, no chart is included.Weeks dye Works are Pecan, Chickpea, Sage, Pelican Gray;Gentle Arts are Cornhusk, Harvest Basket, Fragrant Cloves, Pumpkin Pie, Endive; Classic Colorworks/Crescent Colours are Pumpkin Harvest, Eggshell and Straw Hat. 115w x 130h, stitched on 40ct linen. Thread pack only, no chart is included. 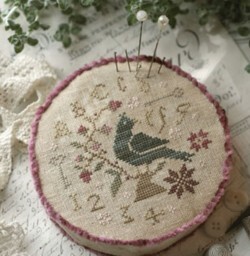 Thread usage is based on 40ct linen, using 1 strand over 2 threads. Weeks dye Works Peach, Caper, Pelican Gray; Gentle Art are Woodrose, Lexington Green, Apple Cider, Pumpkin Pie, Caramel Cron, Wood Trail; Classic Colorworks/Crescent Colours are Chili Pepper, Eggshell, Ginger Snap, Honeycomb, Mossy, Ye Old Gold, Polliwog, Hazelnut and Snowball. 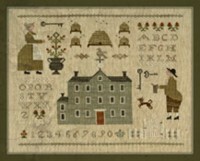 146W x 160H, stitched on 36ct Weeks dye Works Confederate Grey. Thread pack only, no chart is included. 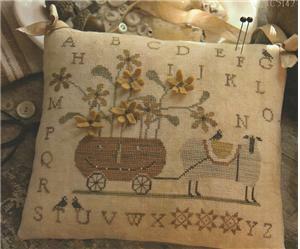 Threads used are based on stitching on 36ct linen, one strand over 2. Weeks dye Works are Light Khaki, Straw, Peach, PUtty, Schneckley, Palomino, Sage, Caper, Pelican Gray; Gentle Arts are Woodrose, Wood Trail, Endive; Classic Colorworks/Crescent Colours are Almost Auburn, Barn Door, Eggshell, Ginger Snap, Ye Old Gold and Cayenne. No chart is included. Thread Pack only. Valdani 3 strand threads are O531 Black Nut(5 Balls), P1 Old Brick (2 Balls), O576 Shades of Wheat, O574 Dried Leaves, O571 Tea Honey, JP8 Spring Leaves, P9 Bronze & JP2 Spun Gold and Valdani 12 Pearl Cotton O531 Black Nut. 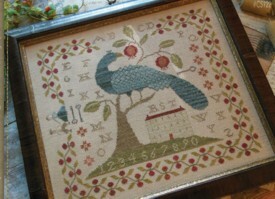 74W x 97H stitched on 35ct linen. 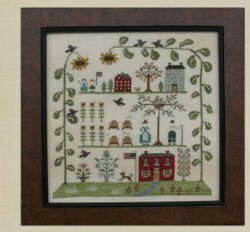 142w x 107h stitched on 40ct linen. Thread pack only, no chart is included. 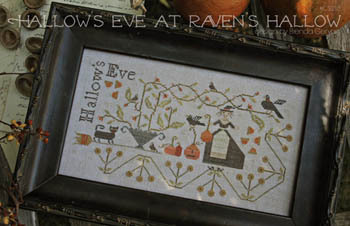 Weeks dye Work threads are Chickpea, Beige, Olive, Carrot; Gentle Art Sampler threads are Harvest Basket, Fragrant Clove, Pumpkin Pie, Wood Trail, Toffee and Classic Colorworks/Crescent Colours is Eggshell. 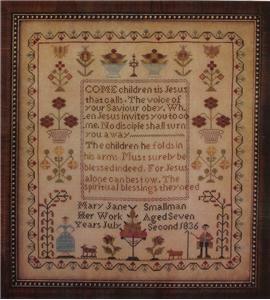 Stitched on 32 Weeks dye Works "Linen" linen, 168w x 84h. Great substitute for the linen is Belfast 32ct light Sand or Cream. Thread pack only, no chart is included. Weeks dye Works are Fawn, Peach, Putty, Cocoa, Pelican Gray, Olive; Gentle Arts are Woodrose, Apple Cider, Pumpkin Pie, Caramel Corn, Wood Trail, Heirloom Gold, Mulberry; Classic Colorworks/Crescent are Chili Pepper, Eggshell, Ye Old Gold and Hazelnut. 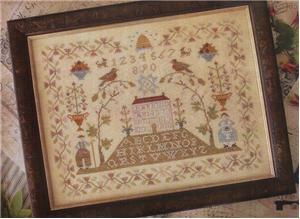 260w x 191h, stitched on 32ct WDW Beige linen. Thread Pack only, no chart is included. 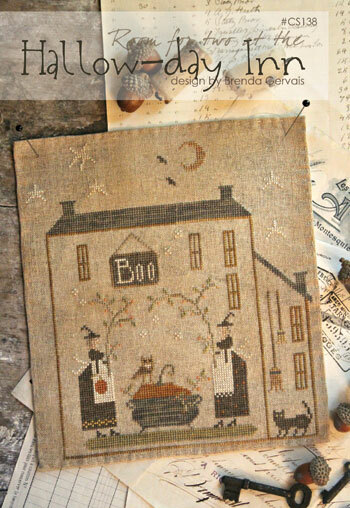 Weeks dye Works threads are Light Khaki(10 yard), Putty, Havana, Sage, Pelican Gray, Oscar(10 yard); Gentle Art Threads are Gold Leaf, Brandy, Parchment, Pumpkin Pie, Wood Trail; Colorworks/Crescent threads are Barn Door, Perfect Piecrust. 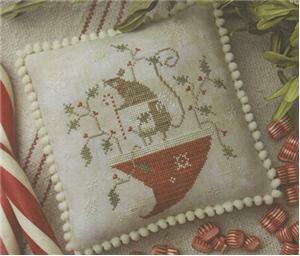 Stitched on 40ct with Classic Colorworks silk. No chart is included. Classic Colorworks/Crescent silk only Angel Blush, Attic Tea, Limestone, Miss Green Jeans, Mudpie, Oatmeal Scone, Poison Apple, Peaches N Cream, Pumpkin Carriage, Red Fox, Scarecrow, and Slate. Thread pack only, no chart is included. Classic Colorworks/Crescent are Avocado, Chili Pepper 10 yard, Eggshell, Gingersnap, Mossy, Perfect Piecrust, Polliwog, Ye Old Gold; Gentle Art are Apple Cider, Cornhusk, Grecian Gold,10 Toasted Barley, Toffee, Woodrose; and Weeks Dye Works are Caper, Gold, Olive, Pelican Gray, Schneckley. 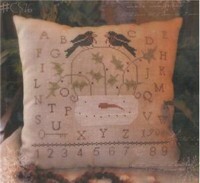 Chart only, no buttons are included.Stitched on Weeks dye Works 32ct "linen" linen. Thread pack only, no chart is included. Valdani 6 strand floss 510, 861, 862; Classic Colorworks/Crescent Ye Old Gold;Gentle Arts are Endive, Mountain Mist; Weeks dye works are Artichoke, Cadet, Caper, Light Khaki, Palomino, Sage. 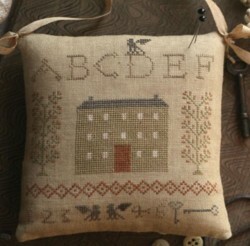 Stitched on Weeks dye Works linen Beige. Thread pack only, no chart is included. Valdani 6 strand 0510; Classic Colorworks/Crescent Weeping Willow; Gentle Arts are Apple Cider, Harvest Basket, Heirloom Gold, Parchment, Wood Rose; Weeks dye works are Peach, Pelican Gray, Sage. 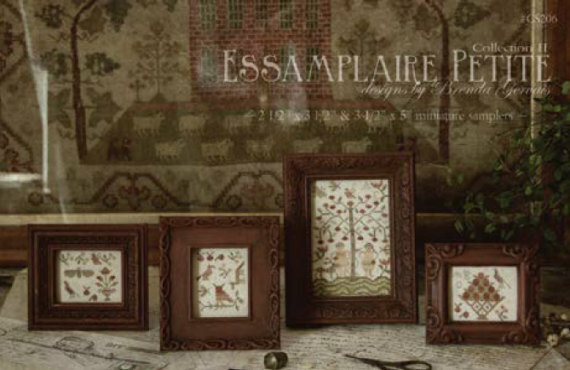 pattern, weaver cloth included. DMC threads are used. Thread pack only, no chart is included.Weeks dye works are Light Khaki, Beige, Peach, Cocoa, Cadet; Gentle Arts are Pumpkin Pie, Rubby Slipper; Classic Colorsworks are Avocado and Ye Old Gold. Thread pack only, no chart is included. Weeks dye Works are Peach, Pelican Gray, Olive; Gentle Art are Roasted Marshallow, Caramel Corn, 10Toasted Barley, Garden Gate, Toffee, Heirloom; Classic are Colorial Copper and Pumpkin Harvest. Thread pack only, no chart is included. Weeks dye work Putty; Gentle Arts Cornjusk, Melon, Old Hickory, Pumpkin Pie, Endive; Classic Barn Door, Eggshell, Hickory Sticks, Muddy Puddle, Tennessee Red Clay, Ye Old Gold and Cayenne. Chart only.Stitched on 36ct Weeks dye Works Aztec Red Linen (I will have 32 WDW Aztec Red soon) and Classic colorworks silk. Chart only. Stitch on Weeks dye works 36ct Tin Roof. Weeks dye Works, Gentle Art and Classic Colorworks silk. 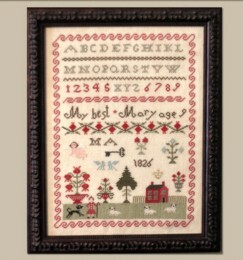 Chart only.Stitch on 40ct Legacy Linen by Picture this Plus. Weeks dye works, Gentle Art and Classic Colorworks. Chart only. 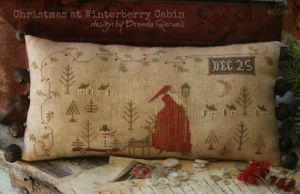 Threads used are Weeks Schneckley, Olive, Chrysanthermum; Gentle Arts are Pumpkin Patch, Brandy, Oatmeal, Woodrose, Parchment, Apple Cider, Wood Trail, Endive; Classic Colorworks is Hazelnut. Chart only. Thread used are Weeks dye Works Beige, Schneckley; Gentle Arts are Pumpkin Patch, Woodrose, Wood Trail, Heirloom Gold; Classic Colorworks are Eggshell, Peanut Brittle, Polliwog, Hazelnut; Valdani 0506 Cinnamon Swirl. Chart only. 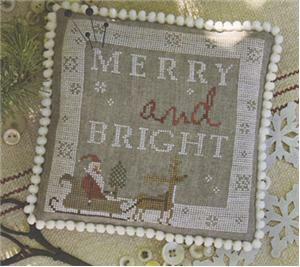 Threads used are Weeks dye Works Beige, Peach, Schneckley; Gentle Arts are Harvest Basket, Woodrose, Apple Cider, Wood Trail, Heirloom Gold; Classic Colorworks are Eggshell, Peanut Brittle, Hazelnut, Polliwog; Valdani threads are 863, O506 and O510. Thread pack only. Classic Colorworks are Barn Door, Onion Skin; Gentle Arts threads are Mustard Seed, Ruby Slipper, Woodrose; Weeks dye Works are Light Khaki, Oscar. Thread pack only, no chart is included. Classic Colorworks are Avocado, Hickory Sticks, Perfect Piecrust; Gentle Arts threads are Caramel Corn, Endive, Fragrant Cloves, Gingersnap, Roasted Marshmallow, Toffee, Wood Trail; Weeks dye works are Pelican Grey, Schneckley. Thread pack only, no chart is included. 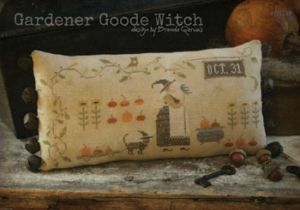 Classic Colorworks are Fallen Leaves, Hazelnut, Hickory Sticks, Old Money, Polliwog; Gentle Arts are Apple Cider, Fragrant Cloves, Mustard Seed, Oatmeal, Pumpkin Patch, Toffee, Wood Trail; Weeks: Daylily, Peach, Sage, Schneckley, Taupe, Teal Frost.